Thank you for verifying your account. 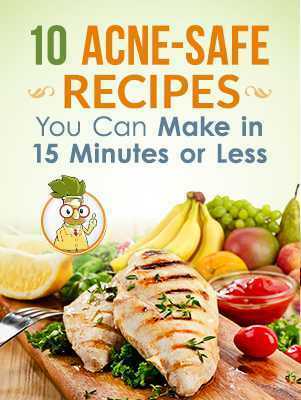 You'll get the 10 Acne-Safe Recipes booklet on this page. Please help me to help you better. We both know diet can help with acne, but with all the demands on a busy life, it's not always so easy to cook healthy food at home. Let me know what your biggest sticking points are so I can advice you better.